Joint tenants can own real estate or goods. 1. Can You Put a Relative Besides a Spouse on a Joint Account? 3. Can a Co-Owner of Real Property Rent Without the Others Permission? Joint tenancy is a form of ownership that is inexpensive and easy to create. Surviving joint tenants automatically take on the deceased joint tenants' property interests. Many people hold assets jointly to avoid probate and the expenses of making wills or trusts. However, joint ownership comes with risks that should be carefully weighed. 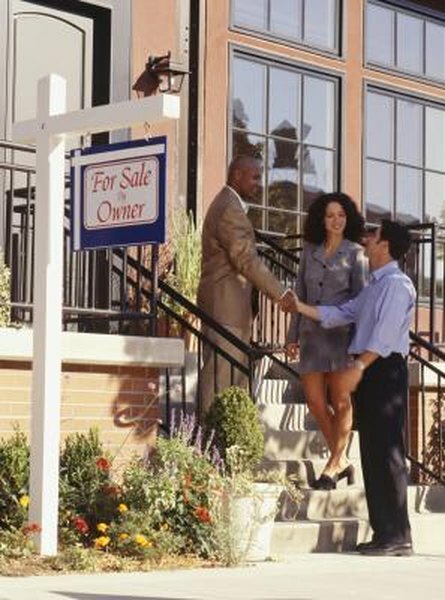 States have different laws regulating joint tenancies; therefore, specific questions should be directed to an attorney. Creditors may be able to reach jointly owned assets to satisfy the debts of joint tenants. For example, John and Fred own a hunting cabin as joint tenants. John's credit card company has a judgment against him. The judgment may attach to the cabin even though the debt does not belong to Fred. Also, divorcing joint tenants may expose other joint tenants to risks. For example, if John divorces, some state laws allow his wife to claim his investment with Fred as a marital asset. When a person adds a joint tenant to her assets she loses independent control over them. Joint tenants equally own their jointly titled assets; therefore, they generally must agree on decisions to mortgage, sell or lease jointly owned property. And, joint financial accounts generally can be accessed by all joint tenants regardless of who provides the funds. Parties should carefully consider the risks of future disagreements over joint asset management. Joint tenancies between non-spouses can trigger gift taxes consequences. For example, you add your son as a joint tenant to your $50,000 personal savings account. The Internal Revenue Service generally considers half of the account, or $25,000, as a gift to your son. As of 2013, the IRS rules generally allow you to make a $14,000 yearly gift to each of your children. However, the $11,000 excess amount in the savings account likely creates a gift tax liability for you as the donor. If a person decides he wants to dissolve a joint tenancy he may have to file a lawsuit to do it. Partition actions sever joint tenancies when co-owners cannot reach voluntary agreements to terminate joint ownership. Courts have the power to partition joint ownership of real estate and personal property, such as vehicles, and financial investments. A partition action is generally costly, time-consuming and can escalate hostilities between parties. Law Office of Jean D. Chen: What Is Joint Tenancy? Does a Husband Have to Have His Wife's Signature When Setting Up an IRA? Can My Husband Legally File Taxes as Married Without Me Knowing? Does My Name Have to Be on My Husband's Mortgage?